It’s show day! Web sales for Best Life Festival are now closed. General Admission and VIP tickets are still available via the Block Party iOS app here or Android app here and at the Festival gate (550 NW 24th St, Miami, FL 33127). Come down to the RC Cola plant in Wynwood today and live your Best Life! MIAMI ! prepare to experience YOUR BEST LIFE WITH WYNWOOD's newest R&B festival! Best Life brings you a full day of up-close-and-personal access to the hottest new R&B artists in the world like H.E.R. and Ella Mai! Best Life represents the best in R&B culture & artform, and serves as a platform to our generation's most talented R&B singers and songwriters. We’re about empowering both our fans and artists, and sharing the right feels and emotions this music give us. On Saturday September 15th, 2018, prepare to live your Best Life and vibe into the sunset with your favorite stars on one stage. 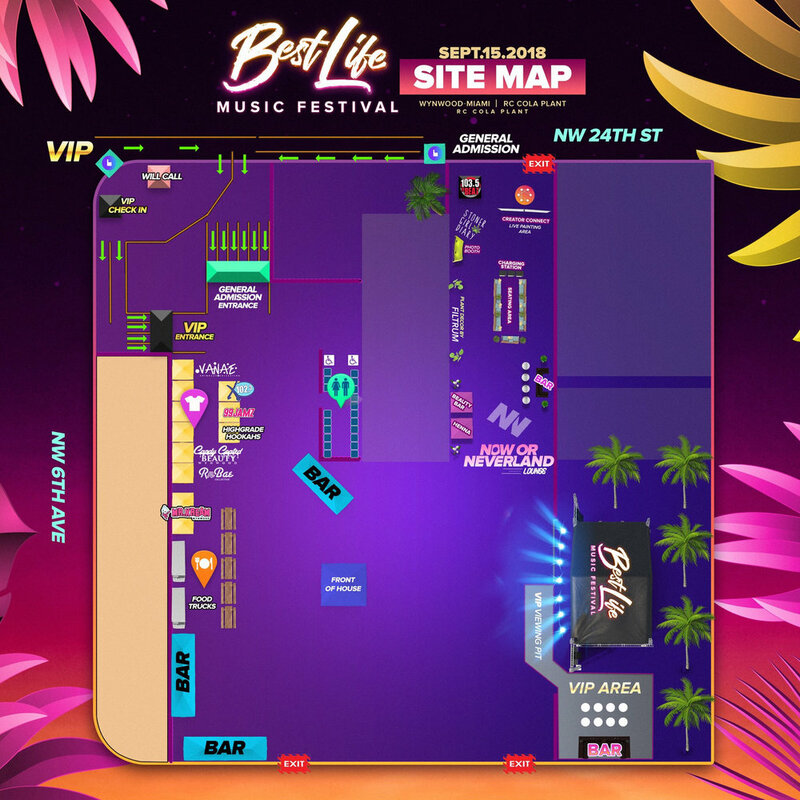 For more info and updates on Best Life Music Festival, drop us your email here.